Kuala Lumpur, Malaysia – Mark Rayan Darmaraj has spent nearly 15 years tracking tigers in Malaysia. But he’s only once seen a Malayan tiger, one of the world’s five remaining subspecies. That was in 2009, and the animal was in agony. Trapped in a poachers’ snare, its right paw was nearly severed. Darmaraj will never forget the cat’s roars of anguish and the fear in its still menacing eyes. The Malayan tiger is struggling to survive as logging and the conversion of tropical rainforest into plantation destroy its natural habitat and leave it ever more vulnerable to poachers. Conservation groups estimate there are probably fewer than 250 tigers left in Malaysia (with some putting the figure even lower), half the number that was estimated a decade ago when the then-government unveiled its “National Tiger Action Plan” aimed at doubling the animal’s population by 2020. The tiger is “at the tipping point”, Darmaraj said. Thousands of tigers once roamed throughout the dense, forested interior of the Malaysian peninsula, but they are now mainly confined to three protected areas: Belum-Temengor in the north, Taman Negara in the centre and Endau-Rompin to the south. A recent study by the Forest Research Institute of Malaysia showed the country’s natural forests had shrunk by around 200,000 hectares between 2010 and 2015, an area equivalent to nearly three times the size of the neighbouring city-state of Singapore, located at the southern tip of the Malay peninsula. Forested “corridors” meant to allow tigers to move between the major jungles – a crucial element of the action plan – had also been destroyed, while the expansion of logging roads into once remote parts of the forest had made it easier for poachers to explore once-inaccessible areas. The animal now sits on the brink of extinction, according to Kae Kawanishi, who heads the Malaysian Conservation Alliance for Tigers, a collaboration between the government and wildlife NGOs. “There is no crisis greater than tiger extinction in Malaysia’s nature conservation history,” the tiger biologist wrote in a letter this month to local media. She estimates there are probably only 150 of the cats left. 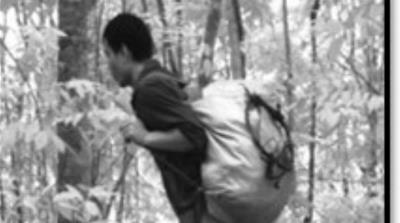 Right now, Malaysia has no more than 100 people patrolling its jungles. These include forest rangers employed by the states where the parks are located, as well as patrols organised by WWF that are not armed and have no powers of arrest. With few rangers on the ground, Malaysia has struggled to tackle the wildlife criminals. “Absolutely, without a doubt, poaching is a crisis,” said Elizabeth John of wildife trade monitoring network TRAFFIC Southeast Asia. 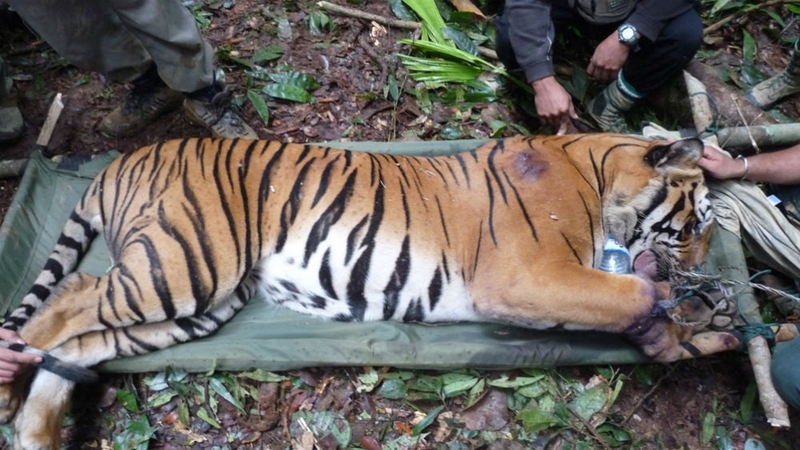 Snares are indiscriminate, posing a risk not only to tigers but also to their prey, she added. Xavier Jayakumar became the minister of water, land and natural resources after the coalition that had ruled the country for some six decades was voted out of power in May’s general election. He says the new government is in talks to deploy the army into the jungle to search for snares and catch poachers, an approach that has helped support tiger populations in Nepal, where the population has doubled, and India, which has the most tigers of any country in the world. The first soldiers could be on patrol for wildlife by the first quarter of 2019, Jayakumar told Al Jazeera. Some state governments across Malaysia have also started to take initiatives to protect the forests – and wildlife – within their borders. After lobbying from the Rainforest Trust and Rimba, a local NGO, the Terengganu state government in August declared 10,385 hectares of tropical rainforest on the northeast border of Taman Negara, the country’s main national park, a protected area for wildlife. The Lawit-Cenana State Park is thought to be home to around 12 Malayan tigers, as well as other endangered animals such as Asian tapirs and Asian elephants, but had originally been earmarked for logging. In the central state of Perak, the government committed in November 2017 to “secure” the Belum rainforest complex and protect vital forest links to ensure the tiger’s survival. The Royal Belum Declaration also promised to deploy at least three enforcement rangers for every 10,000 hectares of jungle and establish a “well-equipped Rapid Response Team to achieve zero poaching in Belum by 2020”. 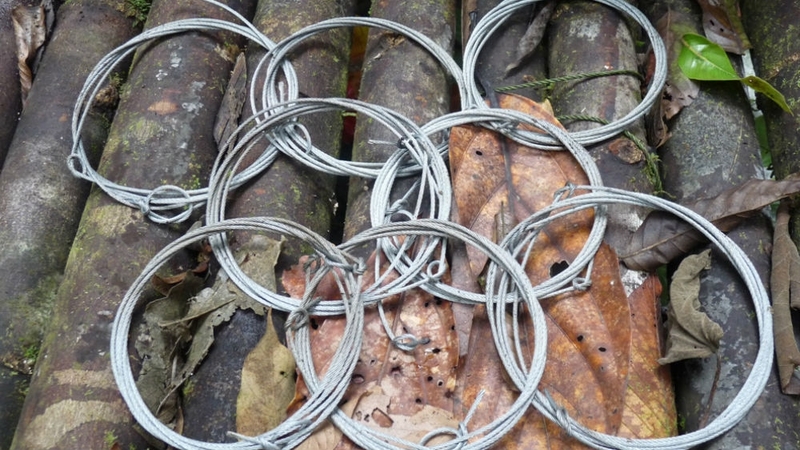 WWF says its researchers and rangers found 553 snares in Belum-Temengor over the past five years, a period during which it estimates tiger numbers have halved. Many more probably remain in the forest undiscovered. Evidence suggests the poachers are mostly foreigners from Thailand, Vietnam and Cambodia, who feed into an illegal trade fuelled by people, mostly in China and other parts of Asia, who believe consuming parts of endangered animals will cure myriad diseases or improve their strength and virility. Operating in groups of no more than 10, the poachers establish makeshift camps from bamboo and tarpaulin, sometimes spending as long as four months in the jungle. The snares are cheap – costing around $5 each, according to Jayakumar – and easy to make. With tigers being territorial animals, it’s relatively easy for the poachers to work out the best place to position the snares. As well as pushing the government to deploy more rangers, NGOs have been working with investigators and prosecutors to ensure poachers who are caught do not get away with their crimes. “Without an efficient prosecution system, offenders are not sufficiently deterred from recommitting wildlife crime,” said Lam Wai Yee of Rimba, which is part of the Justice for Silent Victims project designed to increase rates of successful prosecution. The initiative aims to help authorities build persuasive cases by collecting better evidence at the scene, and conducting more effective interviews with suspects. It also focusses on the scale of the illegal trade in wildlife and its consequences. Lam said two judges who had participated in the scheme told him they imposed harsher sentences as a result of what they had learned. 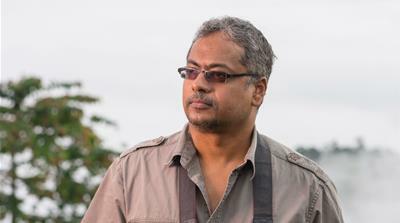 Fines for wildlife crime were increased under the previous government – to a maximum RM100,000 ($23,884) and/or a three year prison term – but Jayakumar says more stringent laws in relation to the illegal wildlife trade are currently with the attorney general’s chambers and should be introduced to parliament by March. Penalties will be designed to ensure a deterrent effect and put those in the illegal wildlife trade on notice that Malaysia is taking the crime seriously. Such initiatives were too late for the tiger Darmaraj saw trapped in 2009. Specialist vets tried desperately to save the animal, but it died a week later. Conservationists hope decisive action now will ensure Malaysia’s remaining tigers don’t suffer the same grim fate.